The title describes the transactions, the main kinds of agreements governing these transactions, the ongoing relations of the parties and the increasing regulation, both public and private, of the private equity sector. The descriptions of the individual transactions cover the stages of private equity funds' fundraising, the structuring of their investments in portfolio companies, and their subsequent exits from their investments. The Danish edition of this book was the first general presentation of private equity law in Denmark, and this updated English version is likewise the first English presentation of the private equity sector from a Danish legal perspective. 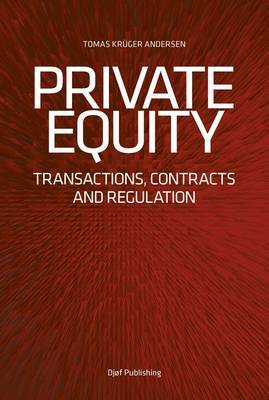 "Private Equity" is not only a relevant textbook and an introduction to private equity, but is also a good reference work for those who want to obtain a better understanding of the circumstances of a complex and important part of the financial services sector.